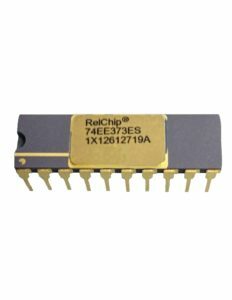 The RelChipTM RC74EE373 is a transparent octal D-type latch designed for use in extreme environments. 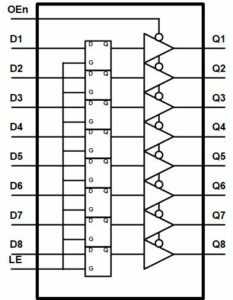 It is a functional and pin equivalent to the 74LS373. The outputs can be put in high impedance state by the OEn pin. Latch transparency is controlled by LE.